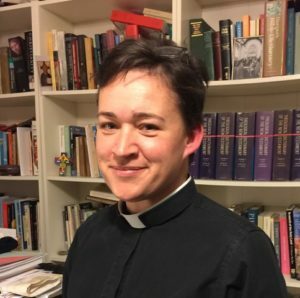 The Reverend Arwen Folkes has been offered and accepted a new role which means that she will be moving on in March 2019. Arwen is to be licensed as The Rector of East Blatchington and Bishopstone (Seaford, East Sussex) by The Bishop of Chichester on March 22nd 2019. This means that Arwen will end her curacy here with us on the 3rd March. Arrangements are now being made to ensure that ministry cover is in place and we are grateful to all the Church Members who have agreed to take on aspects of parish life for the vacant period while we continue to seek a new priest for the parish.